Click here to open the Clermont West Compressor Station Project Profile PDF. 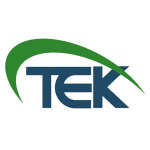 TEK was the general contractor for this compressor station expansion project. Under TEK's supervision the Dearing packaged CAT 3616 unit and associated cooler package was transported four miles down the customer access road without incident. The unit was set and assembled by TEK mechanical services along with 440 feet of associated piping. Building erection and site grading brought this job to completion ahead of schedule. Click here to open the Gibraltar Metering & Regulation Station Project Profile PDF. TEK's turnkey delivery on the Gibraltar M&R station consists of three acres of tree clearing, site civil work, excavation of 10,000 yards of spoil, and tying into CPG's TECO yard with 880 feet of lateral pipeline interconnect featuring an open-cut creek and road crossing. The construction of this 300 MCF per day M&R station capitalizes on TEK's expertise in data point collection for job book creation, setting the standard for job book submissions. Click here to open the Gibraltar Compressor Station Project Profile PDF. Our turnkey solutions were utilized to take this project from authoring the pre-construction P6 Level schedule, to the impressive greenfield compressor station that stands today. This station supports two Exterran packaged CAT/Ariel 3616 A4 5000 horsepower compressor sets. Beginning with clearing approximately 12 acres of trees and excavating and removing 40k yards of fill, TEK has overseen the construction of 2,200 feet of 36 inch pipe to the compressor station, compressor building erection, concrete foundations, pipe fabrication, electrical assembly and has self-performed all mechanical activities, helical pile installations, and equipment setting without a single safety incident.